How To Use Great Design To Elevate The Ordinary To Extraordinary! 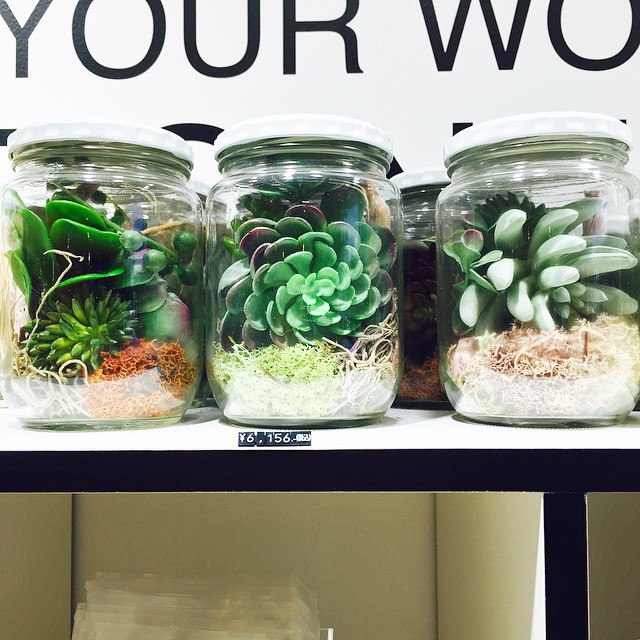 I can make you a succulent terrarium for about 6 dollars. It won’t be quite like these beauties that cost nearly $60.00 in Japan. The remarkable design and hyper-eye-catching display is what adds ten times the price to these upscale mason jar gardens. Beautiful packaging. Great design. It’s always created value. This isn’t superficial drive- a focus only on the outside- but, rather, aesthetic and a reflection of confidence, artfulness and worth. Today, a few ideas about design in life can help you to package what matters to you in ways that elevate your products, your environments and even your sense of self-esteem! Beautiful packaging can transform the ordinary into the extraordinary. If you are looking to take your sofa up a notch, you may want to clean it and find a great sofa cover to “revamp” it in a new package. A tablecloth can redo a room design. 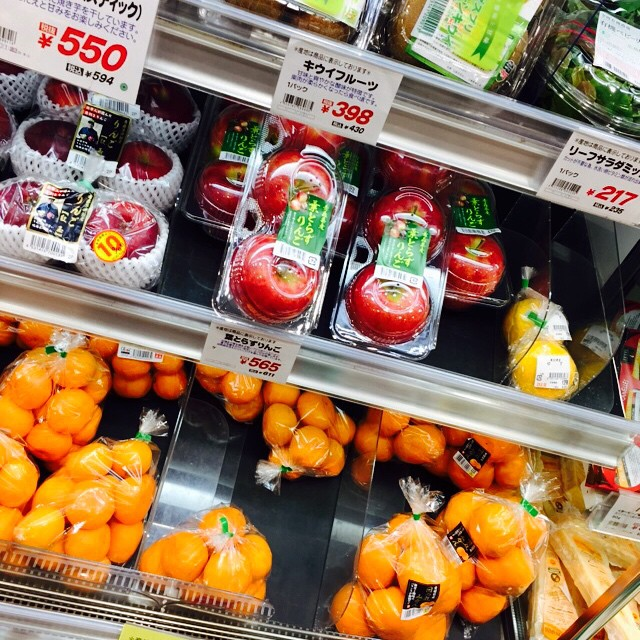 While these fruits above from a Japanese supermarket are packed in an environmentally un-sound way, the package cleverly makes them look shinier, more like candy and more in line with what smartly design-minded people in the country gravitate toward. Also worth noting: beautiful packaging is not always expensive… but it is always thoughtful. If you want to seperate yourself in business- or even socially online- start to curate and design the materals people see in a way that reflects who you are… powerfully. I don’t know about you, but I can infer so much about someone based on their web design. I’ve actually outgrown my present design, though I am carving out the time to revamp things in the New Year. People tend to love Apple computer products not just for their functionality (many phones and other brands of hardware can do much more for much cheaper) but also for the design aesthetic. It doesn’t mean you need an elaborate high-level designer to create a social media profile or a blog— -but you can benefit greatly by learning to encorporate and think about design prinicpals as fundamental to what you create online as well as in all of life. Everyone is an artist and a designer. If you think you aren’t artistic, creative, talented, etc… you are. Trust me. Even my clients who say they have “no taste” will have strong positive of negative reactions to art, color, furniture and much more. They have very personal taste. And that is great! Design is something you can do for your whole life. A little fresh parsley or other herbs can liven up your plates at mealtime, or add a color-packed salad to the table. A centerpiece. Some stylish napkins. Little things go a long way in making a meal more appealing and memorable. Clearly your fashion decisions are a function of design. My term papers in college were akin to art projects. It set my work apart from the rest. This design sensibility can translate gloriously into work presentations, Powerpoints, marketing materials and even your resume if you are job hunting at the moment. Idea for the week: Can you reinvent the way one single thing is packaged and presented in your space or your life? Redesign a business card to look more like your brand… Curate your knicknack collection to a more powerful display… Even redesigning the text of your emails (font, font size and color) and email signature can revamp your design persence in life to look more like “you.” This will give you insight into the power of design. 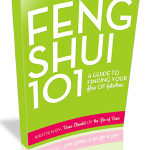 From here you can take this idea and use it to makeover your whole life to look and feel more powerfully aligned, connected and unforgettable! Previous post: Use Nature To Style Your Home Today!!! Next post: Whatever You Focus On Will Grow!